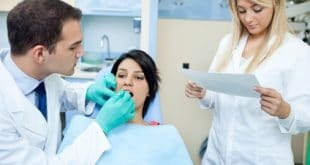 If you are considering working as a dental assistant, you may be wondering if there are different career options to choose from in this career. The answer is yes. 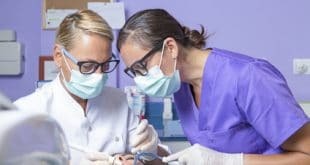 Continue reading to learn about dental assistants who perform basic assisting as well as those who will be able to complete expanded functions. Basic dental assistants perform many administrative and clinical duties on a day-to day basis, though they are not allowed to apply sealants or administer anesthesia. Administrative – Depending on the size of the practice, dental assistants may answer the telephone, order office supplies, and file insurance claims. Clinical – When working chairside, they hand dental tools to the dentist during exams or procedures, remove sutures, take x-rays, and make impressions for temporary crowns and bridges. 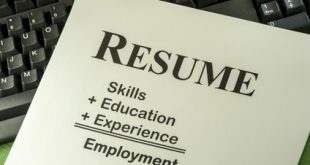 Depending on the employer (and sometimes state regulations), you may need to complete a formal program as opposed to only receiving on-the-job training. The program you enroll in must be accredited by the Commission on Dental Accreditation, or you cannot take their certification exam. Many community colleges and technical schools offer such a program as well as some universities. They take nine moths to two years to complete and courses include: Anatomy and Physiology, Infection Control, and Psychology and the Special Patient. Thirty-eight states require dental assistants to successfully pass the Certified Dental Assistant exam. The U.S. Bureau of Labor Statistics states the annual median salary for this profession was $35,640 in 2013. Salary depends on location, education, and certification. Palliative Care – This involves maintenance on a patient’s dental appliance such as fixing broken wires on braces, or changing the bands and bonds on braces so the patient can progress in his treatment. Medications – During a procedure, expanded functions dental assistants administer anesthesia and other pain medications. Appliance Removal – The removal of bonds, braces, and other dental appliances. Miscellaneous Treatments – Applying sealants and taking face brow transfers for mounting study casts. To become an expanded functions dental assistant, you will need to complete an expanded functions dental assisting program accredited by the Dental Assisting National Board. It usually takes about a year to complete a program at a community college or technical school, and coursework may include: Dental Materials, Dental Radiology, and Oral Biology. Certified Preventive Functions Dental Assistant – Administered by the Dental Assisting National Board, this exam covers coronal polish, topical anesthetic, and topical fluoride. Certified Restorative Functions – Also administered by the DANB, this exam covers anatomy, morphology, and physiology, impressions, temporaries, isolation, sealants, and restorative functions. The average salary for an expanded functions dental assistant is $49,000. All dental assistants work in a clean, well-lit environment. When working on chairside duties, they wear gloves, eyewear, protective clothing and masks in order to protect patients and themselves from infectious diseases. Work settings include dental practices, nursing homes, public health, and schools. A Desire to Serve Others – In order to have a successful career, you have to enjoy working with people from all walks of life. Integrity – You always need to do the right thing. Good Chairside Manner – You must be patient and personable with patients, especially those who are nervous about their exam or procedure. Team Player – It is best if you work closely with your colleagues in order to provide the best patient care. If you have any questions about dental assistant jobs, contact us to learn more about this wonderful career. Previous What Skills are Needed to Become a Certified Pharmacy Technician?